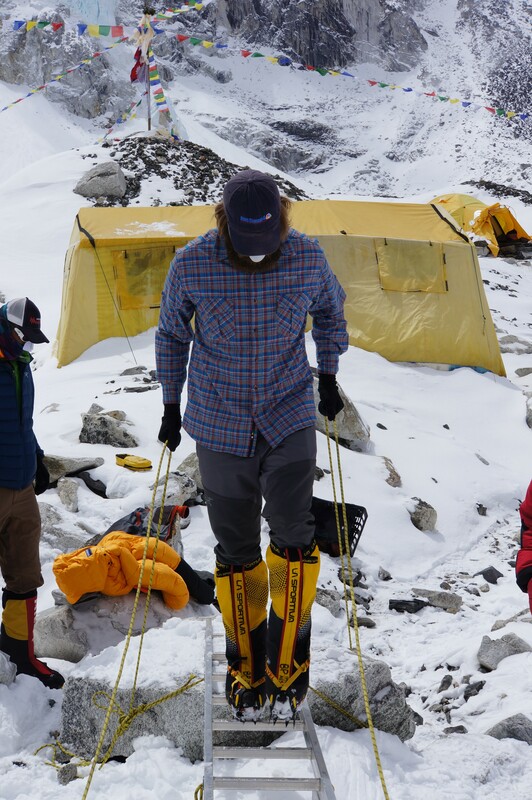 Today marks a somber occasion: The one-year anniversary of the loss of 16 sherpas in an instant during an ice avalanche in the Khumbu icefall. 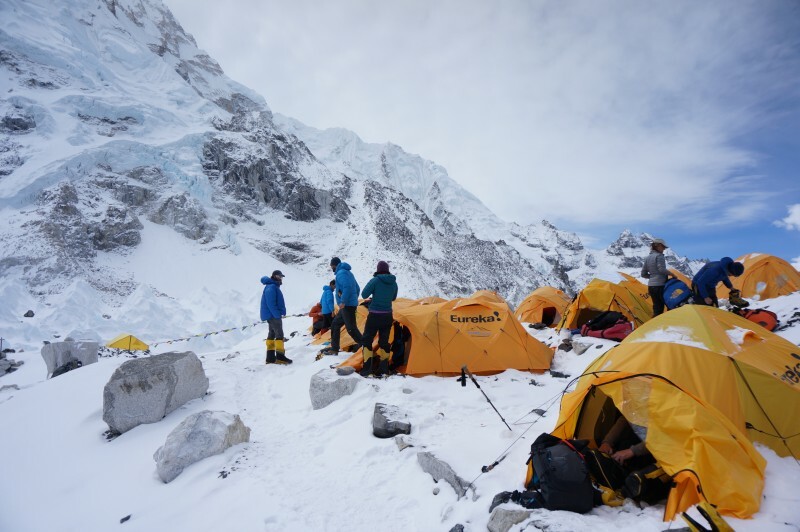 The Sherpa people have already marked this occasion on another day, according to their own calendar, and no special ceremonies are planned or anticipated, but there is agreement among everyone here that all work will stop in the icefall. This gives us a chance to reflect on the tragedy, and all the tragedies of those who have fallen here. Camp is appropriately quiet, and each of us marks the occasion in our own way. 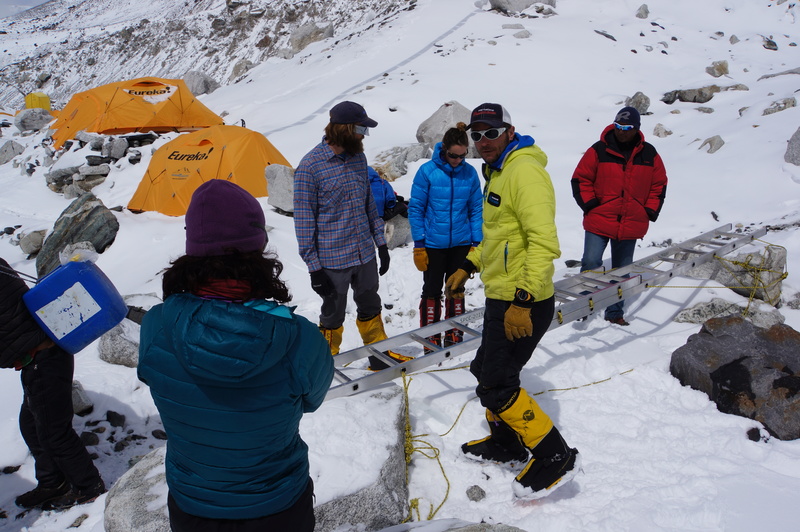 We also use the day to sharpen our skills further, including techniques for crossing ladders. 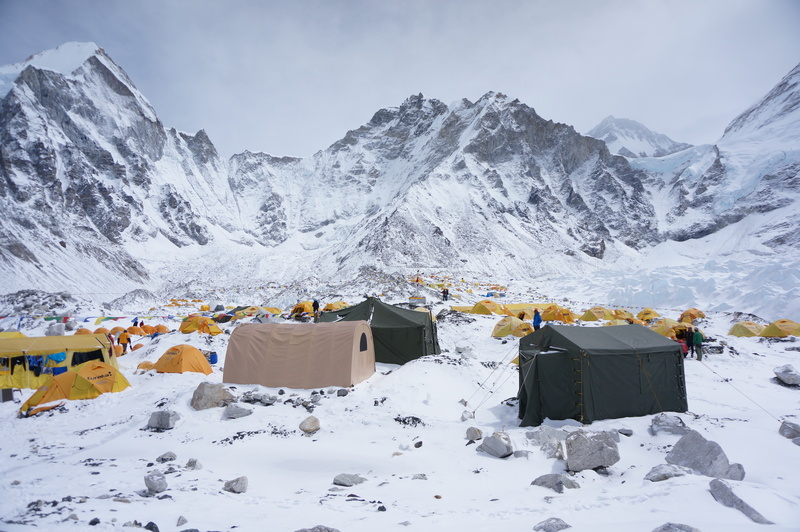 The icefall is essentially a river of ice chunks, some as big as houses, which moves slowly but inexorably downhill. 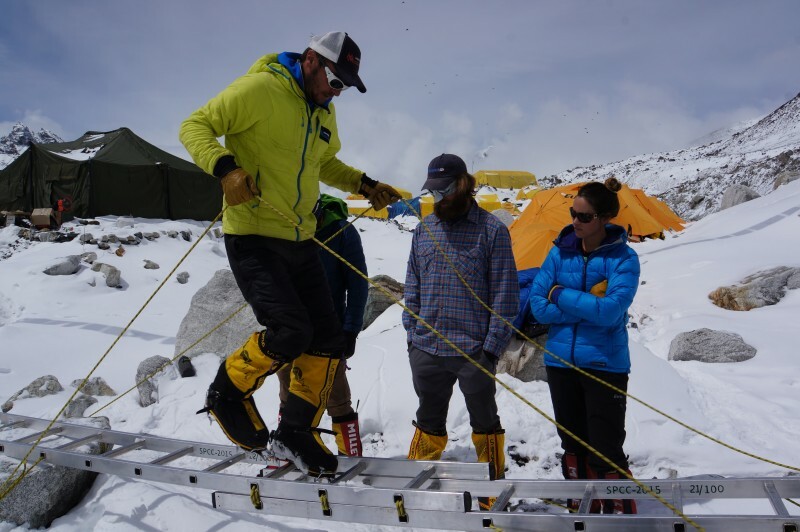 This process generates a crazy pattern of crevasses between the towering ice seracs, some of which are too big to step across or to walk around. 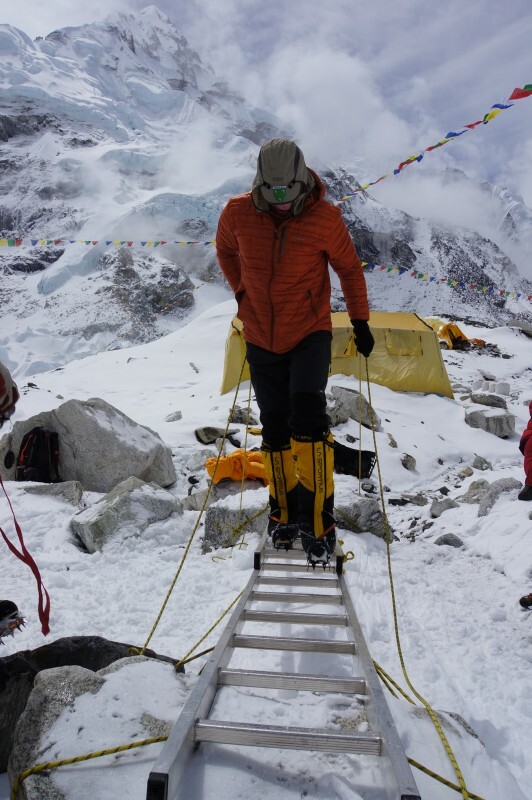 The solution: Aluminum ladders that serve as footbridges. 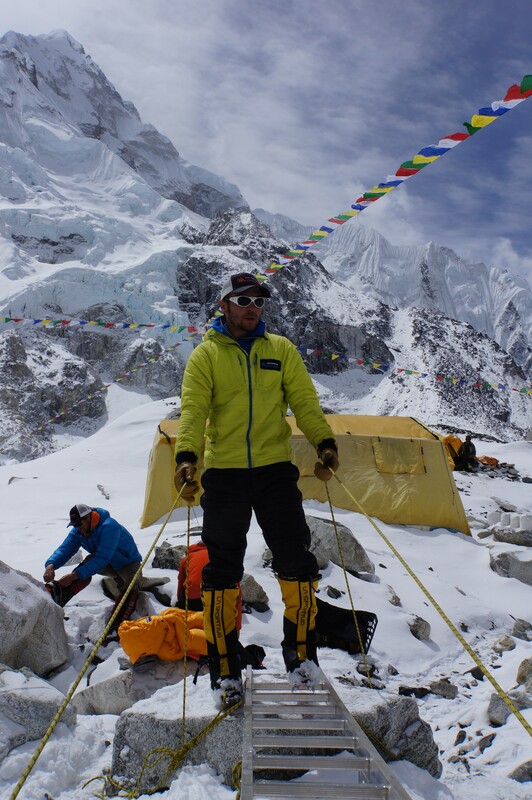 They are light and very strong, but also awkward, and so we practiced crossing them in our climbing boots and crampons. 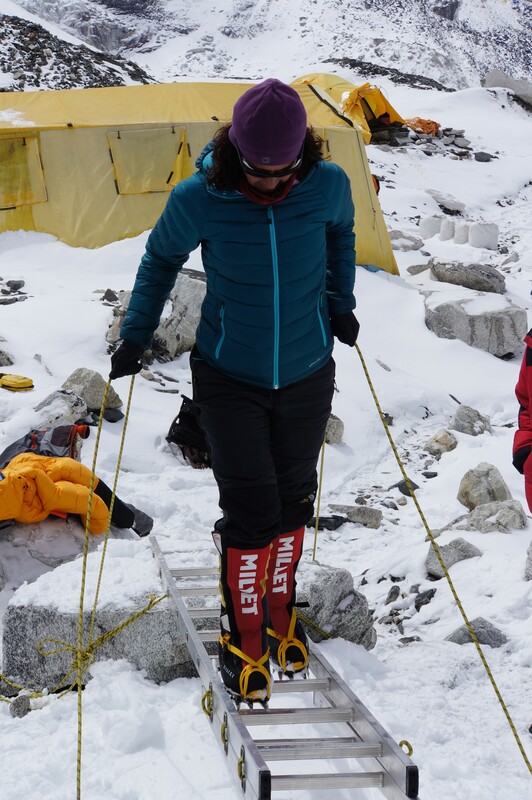 Sometimes the boots fit poorly, but in my case they are a perfect fit, with very low chance of them getting wedged between the rungs. A small ladder section is set up for our enjoyment. Andy shows us the ropes. 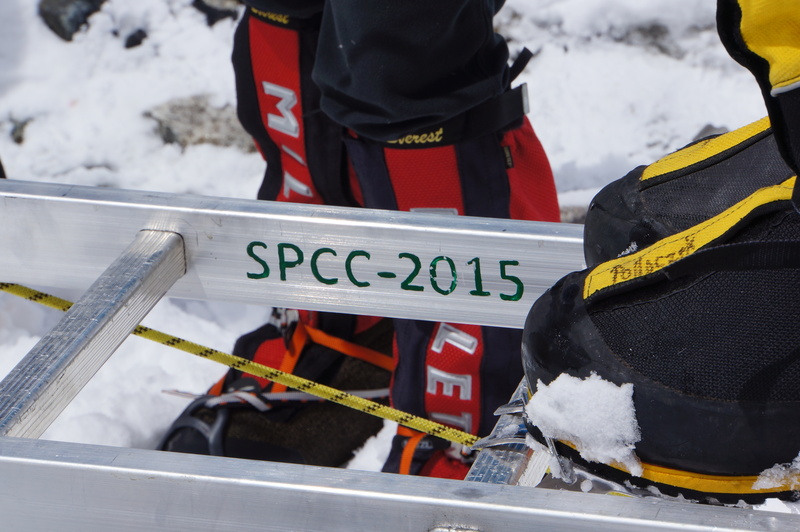 I was impressed with the gear: Brand new ladders, each stamped with date and number and origin (SPCC stands for Everest national park). 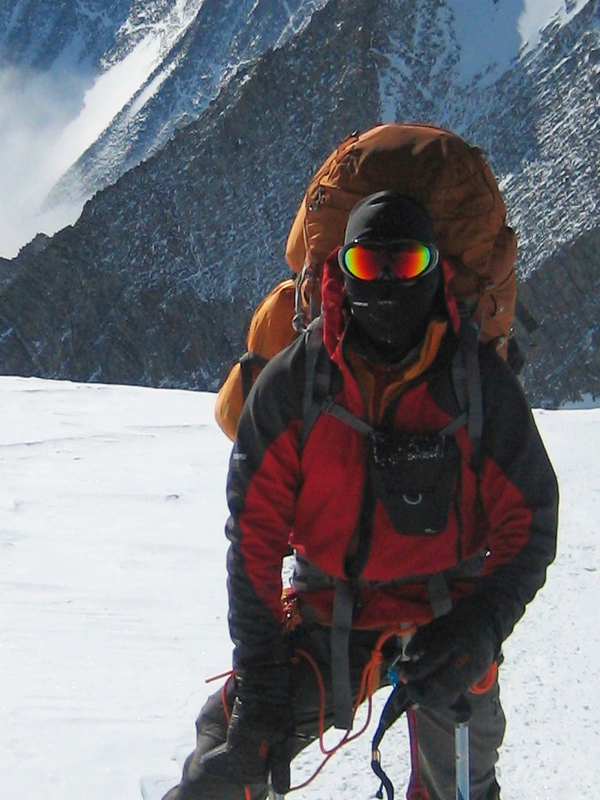 Trick is to step solidly, but efficiently, without letting the crampon points trip you up. Kim gets it, even with elfishly-small boots. Fatima has perfect technique: Pull tension on the lines for dramatically improved stability. Blake never misses a step. 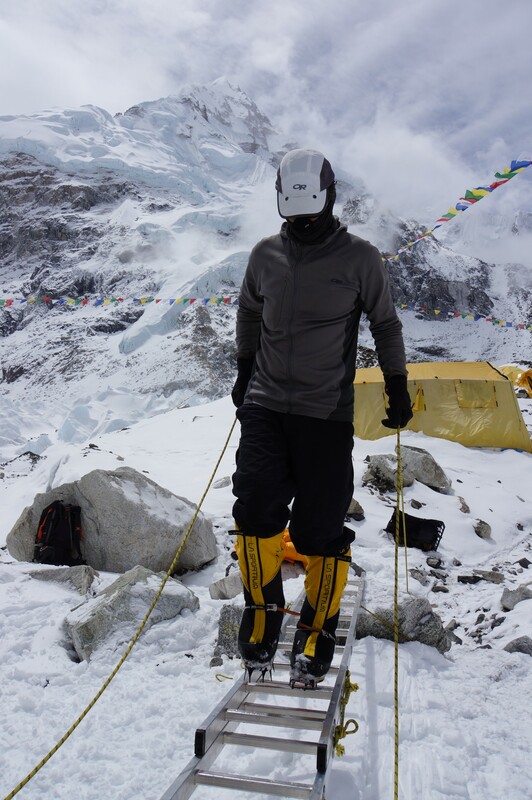 Siva’s boots are a maddeningly poor fit for the rung size, but he nails it anyway. 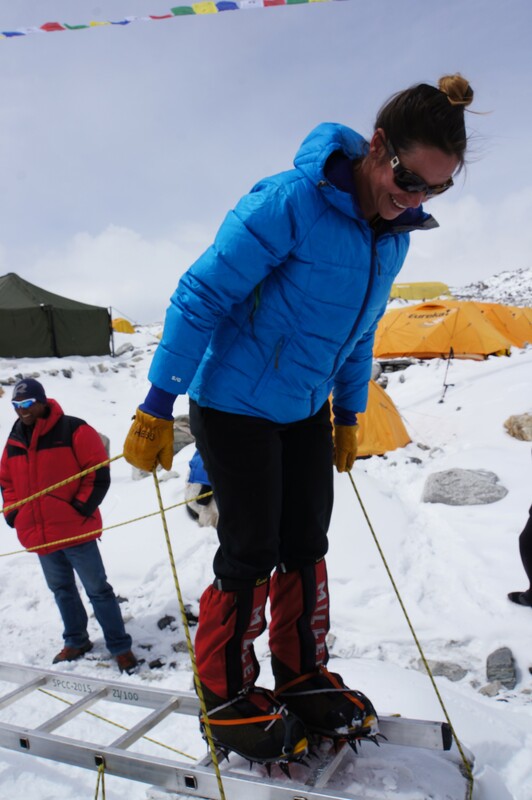 LC climbs the ladder like a pro. 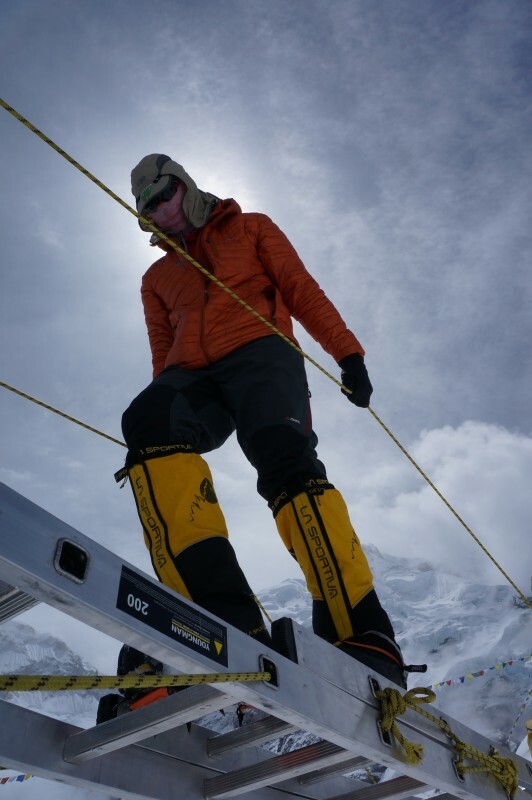 I’m lucky that my crampons are a perfect fit for these ladders. 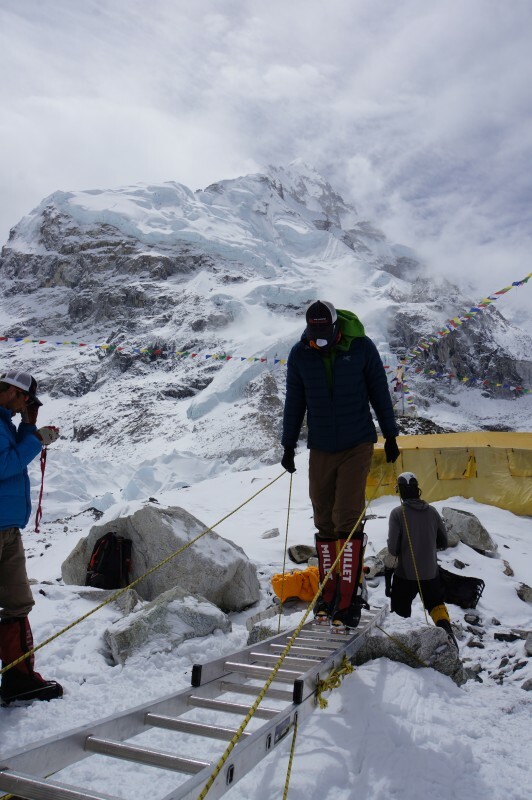 And we have it easy compared with the team from Google, which intends to photograph the entire route to the summit using the same apparatus usually bolted to the roof of a car.. but in this case, it is strapped to the back of a Sherpa mountaineer.